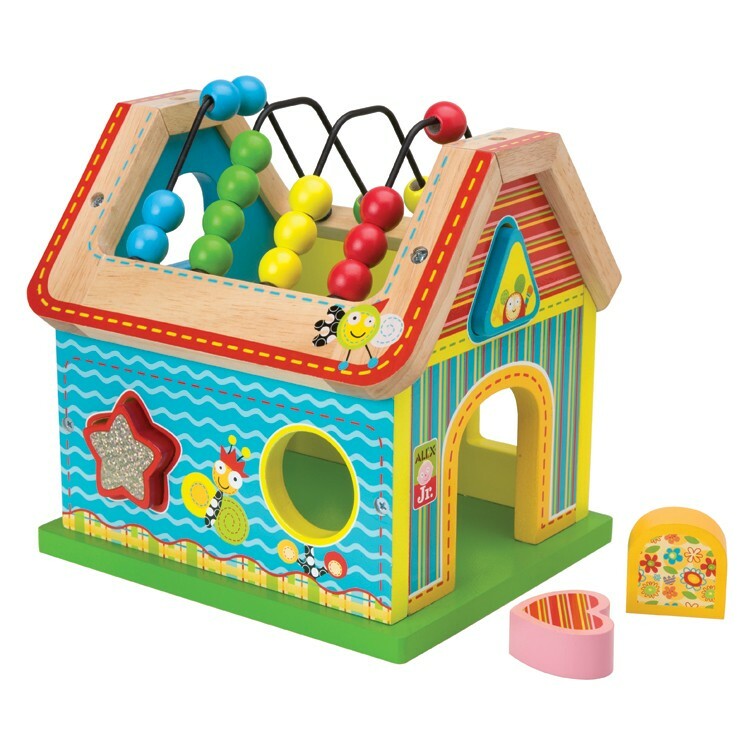 This colorful baby activity center by Alex features a vibrant wooden play house, complete with whimsical designs and a roof made out of bright counting beads. 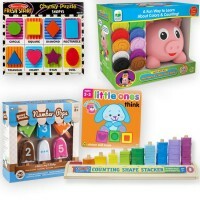 Sort, count, play! 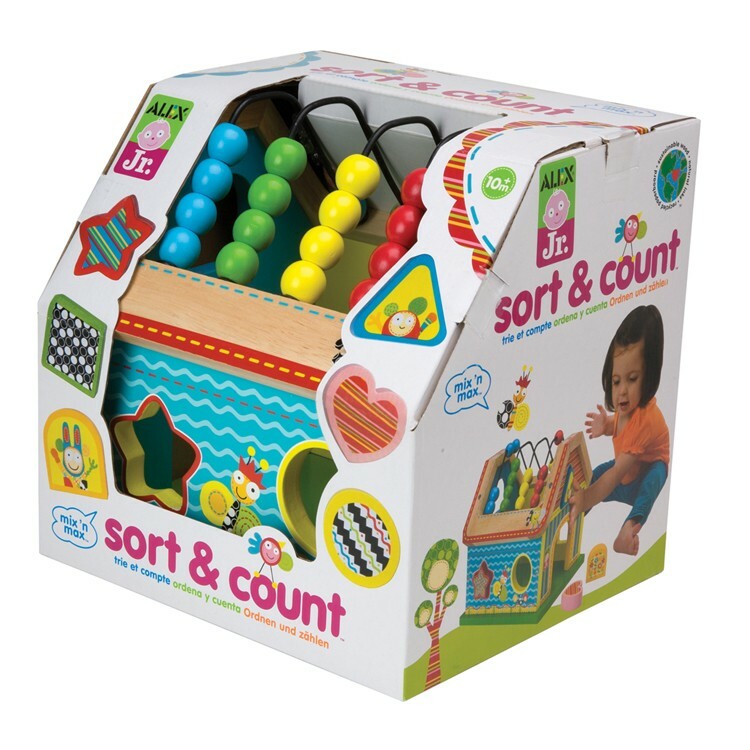 Alex Toys' Sort & Count Wooden House Activity Toy is a unique activity toy sure to engage your little one for hours of playtime fun. 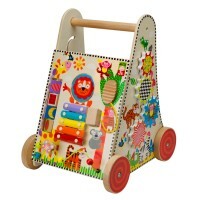 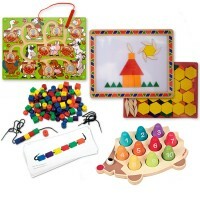 This colorful set includes a vibrant wooden house, complete with whimsical designs and a roof made out of bright counting beads. 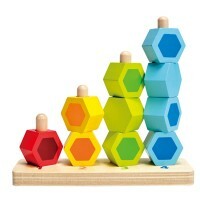 The Alex Toys' Wooden House also features fun shape cutouts on the walls, just waiting for you to sort the matching shape blocks into. 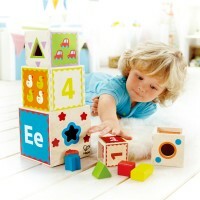 Count the roof beads, and sort the shape blocks for tons of whimsical fun! 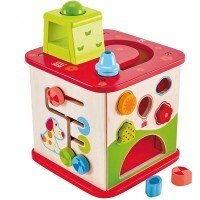 Children and toddlers will enhance their motor skills, matching skills and early geometry skills with the Sort & Count Wooden House Activity Toy. 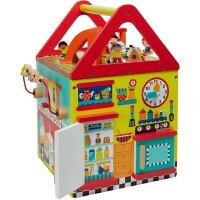 Toddlers will love this exciting little house from Educational Toys Planet, and you'll love all the fun they can have with this durable, safe and colorful play set. 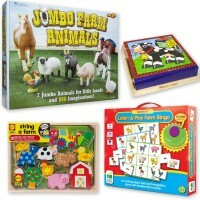 Give your little one a whole house of learning fun! 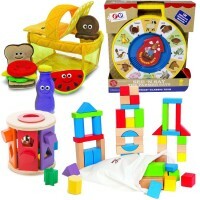 Dimensions of package 8.5" x 9" x 8.5"
Write your own review of Sort & Count Wooden House Activity Toy.